Want a unique and special doll which stands out in the crowd and is absolutely purrfect? If you answered yes, no doubt about it, Luckyjuju is for you. A self taught seamstress of delightfully cute and crafty critters, Katia Ferris first turned her hand to doll making armed with socks and knowing only how to hand sew. It was these first dolls, loved so dearly by Katia’s young daughters, who sowed the doll making seed. Katia bought herself a sewing machine, taught herself how to sew and before too long, Luckyjuju was born! These sweet faces are hard to resist. Luckyjuju girl and boy Kitty dolls are around 48cm long and for the those who aren’t cat lovers (though there can’t be many of you surely?) 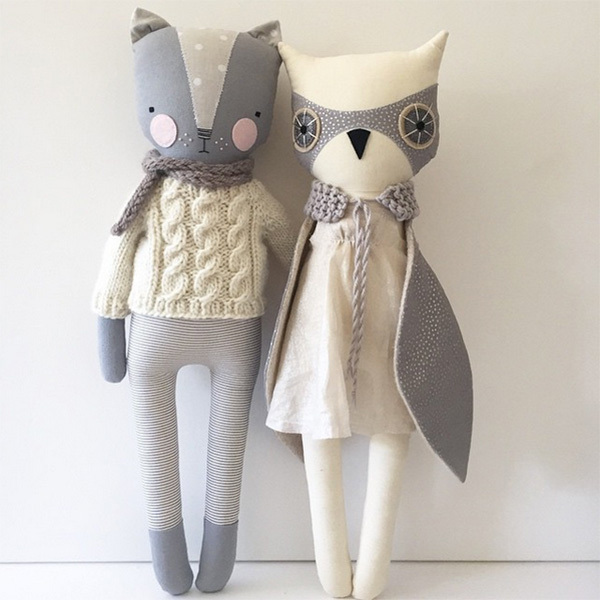 there is an owl doll who pops up among kitty rattles, handmade heirloom knit sweaters, hats and scarves, all made to keep your kitty or owl super snug. 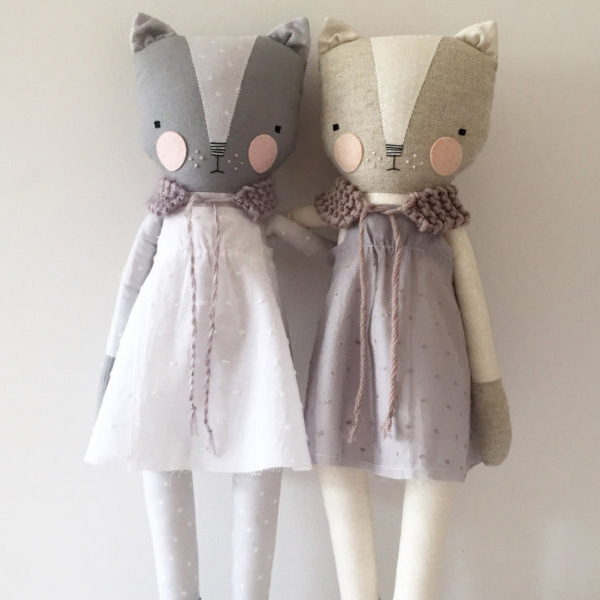 Meticulous attention to detail is taken at every turn, from stunning fabric choices to the most perfect French knots you ever did see – you can rest assured all Luckyjuju dolls are made with love and designed to last and endure being adored by little people. 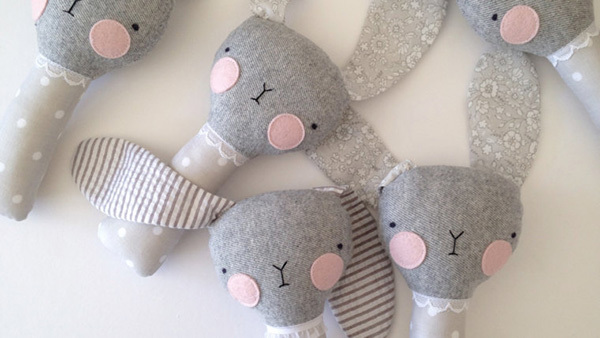 You might have noticed the Luckyjuju Etsy store is empty – after all, there’s only so many dolls one talented busy mama can make at a time, I imagine. Get in the know about shop updates and doll availability by following Luckyjuju on Instagram, where such announcements are made – but be warned, these friendly faces quite literally fly off the shelves, so be ready!